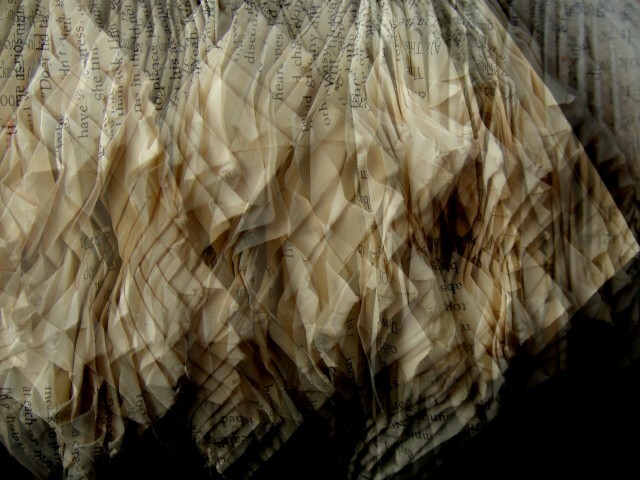 Art Photography, ‘unreal’ portraits of books. 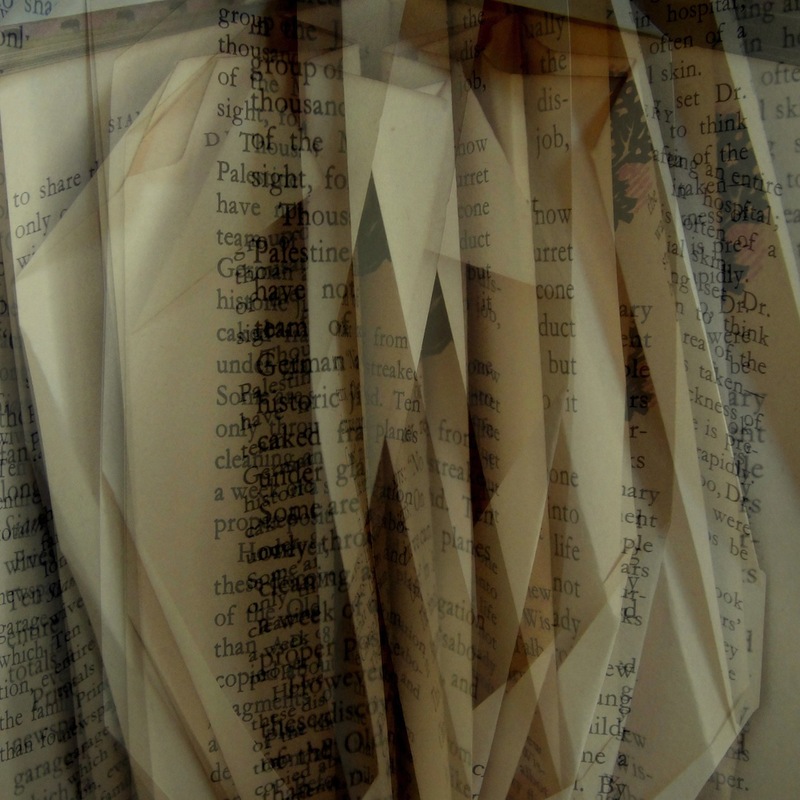 The Abstract Books photographs aim to explore the many degrees of interpretation an object can undergo and still carry the essence of its identity. 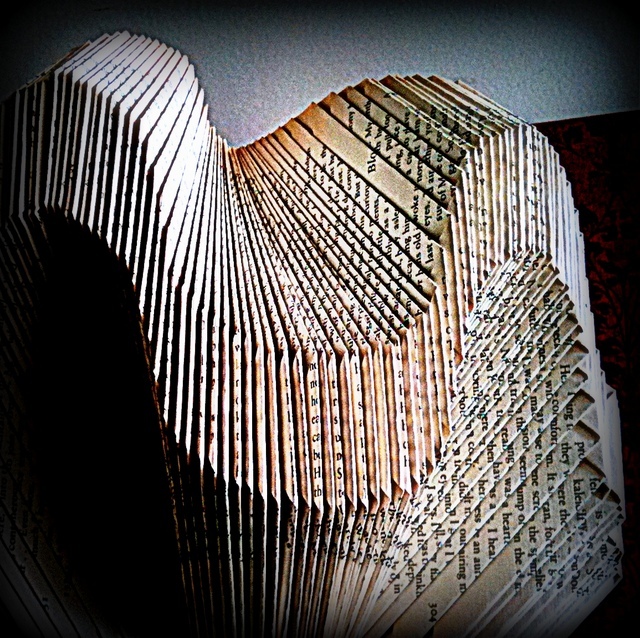 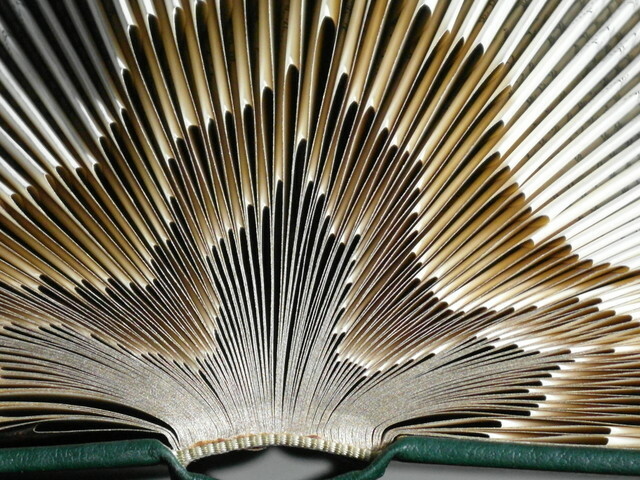 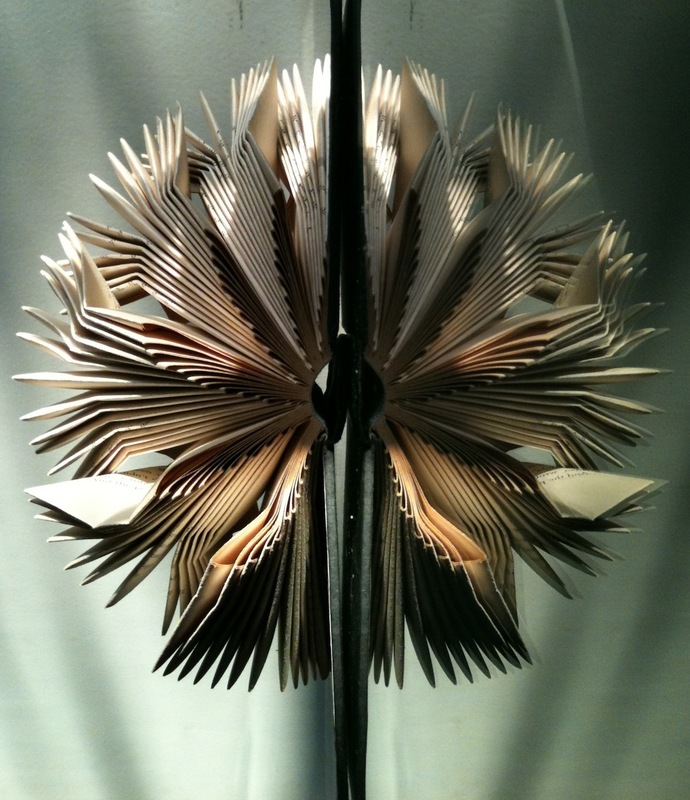 It all begins with a regular book, which is turned into a book sculpture by curling and folding each page until this object gradually morphs into a separate entity. 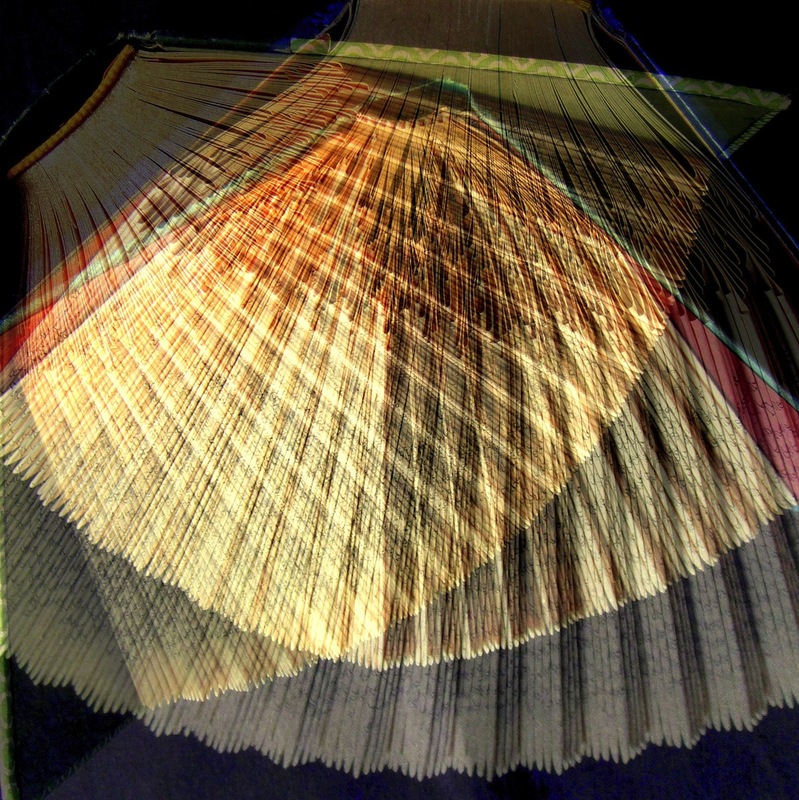 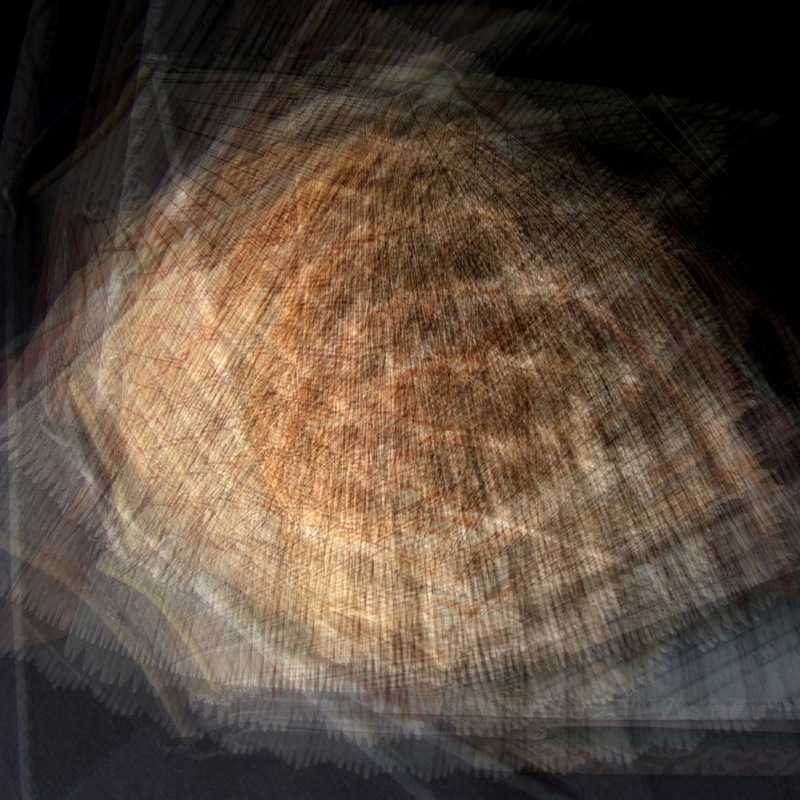 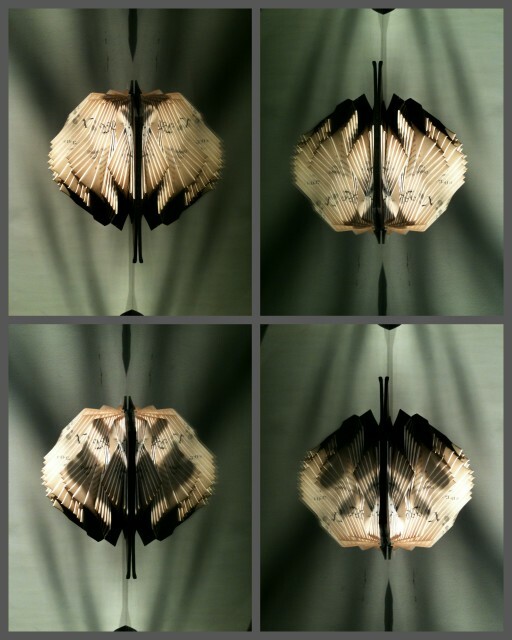 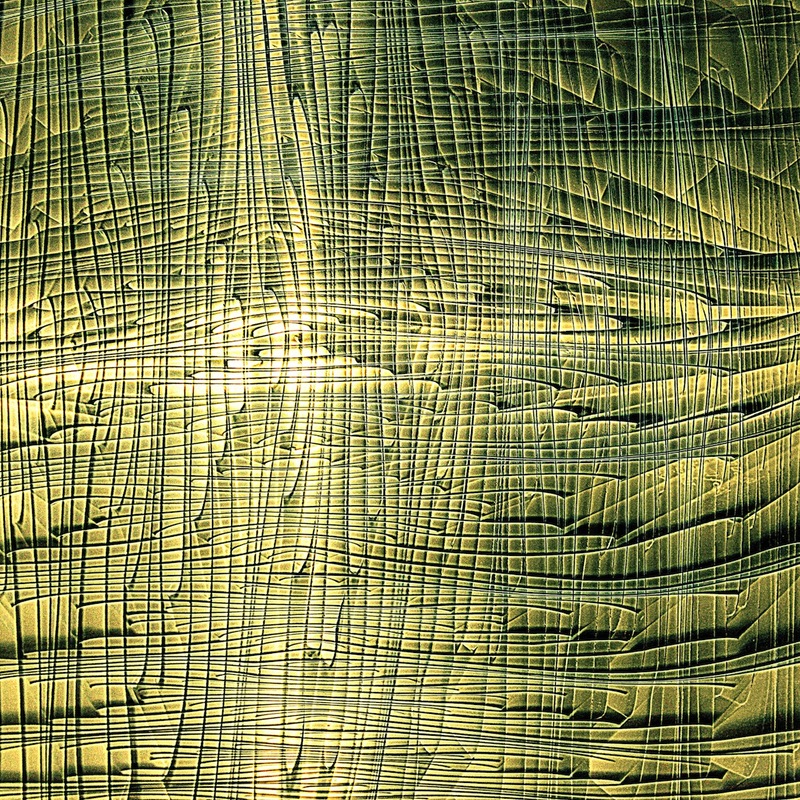 The camera’s eye then examines and records the light playing on the surfaces of the transformed pages. 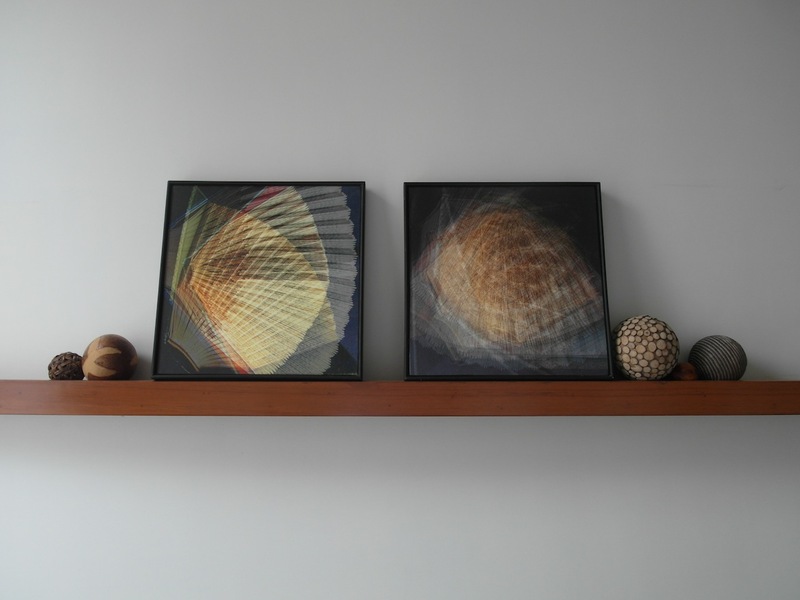 The images are ‘unrealistic’ portraits –with no recognizable associations of the original object. 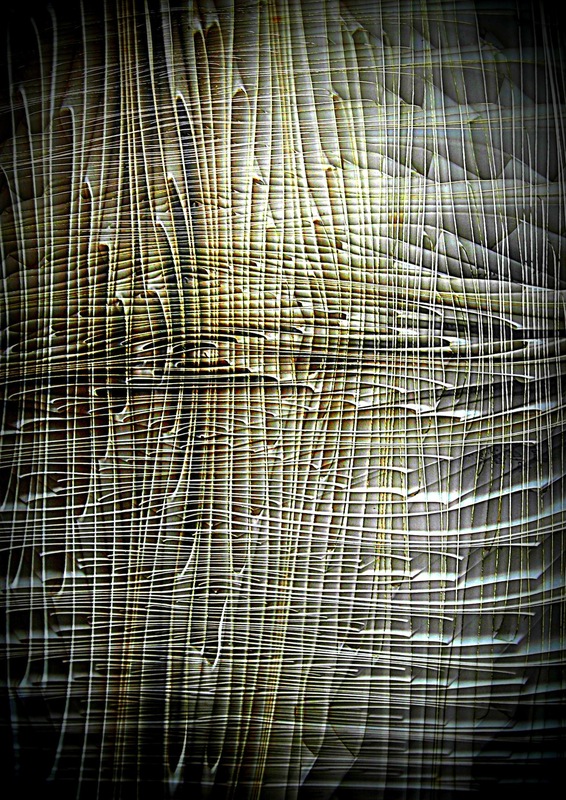 Often, multiple digital images are enmeshed, creating translucent layers with fragments of text, reminding the viewer of their provenance. 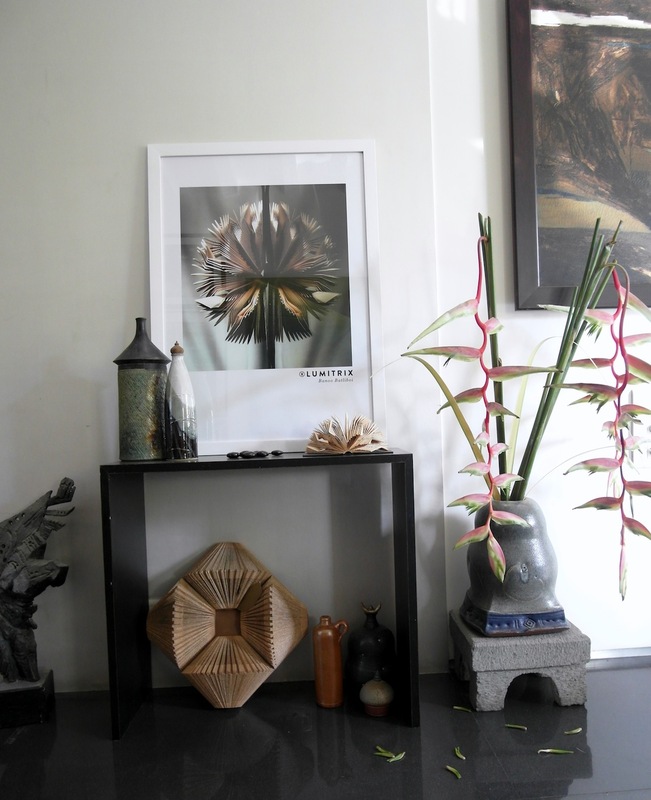 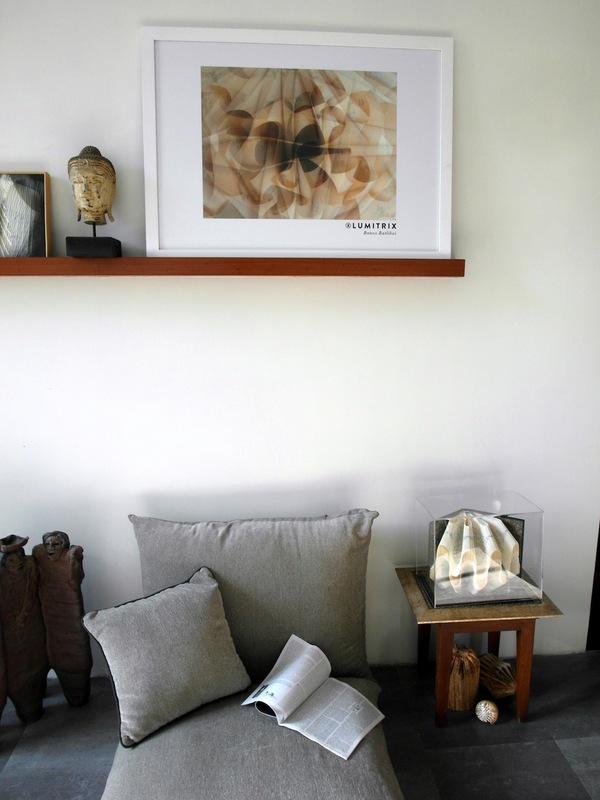 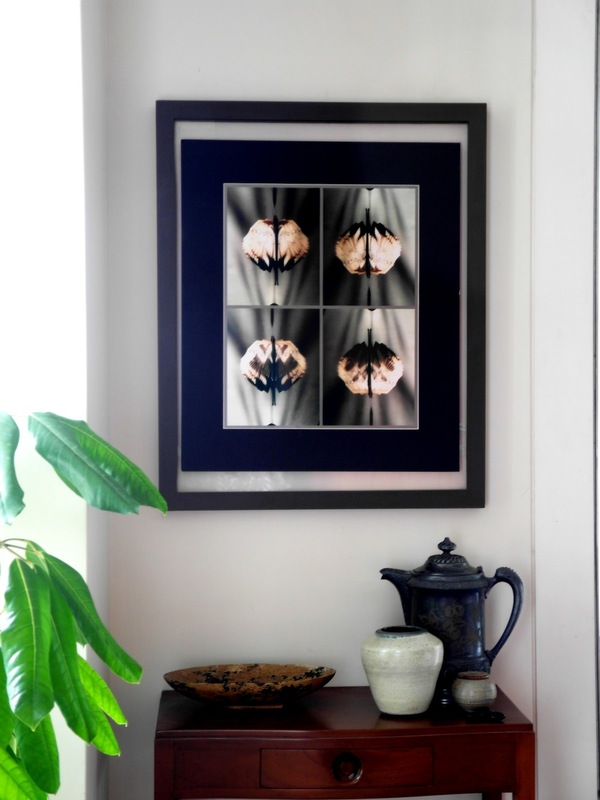 These photographic images are available on canvas or metallic photo paper. 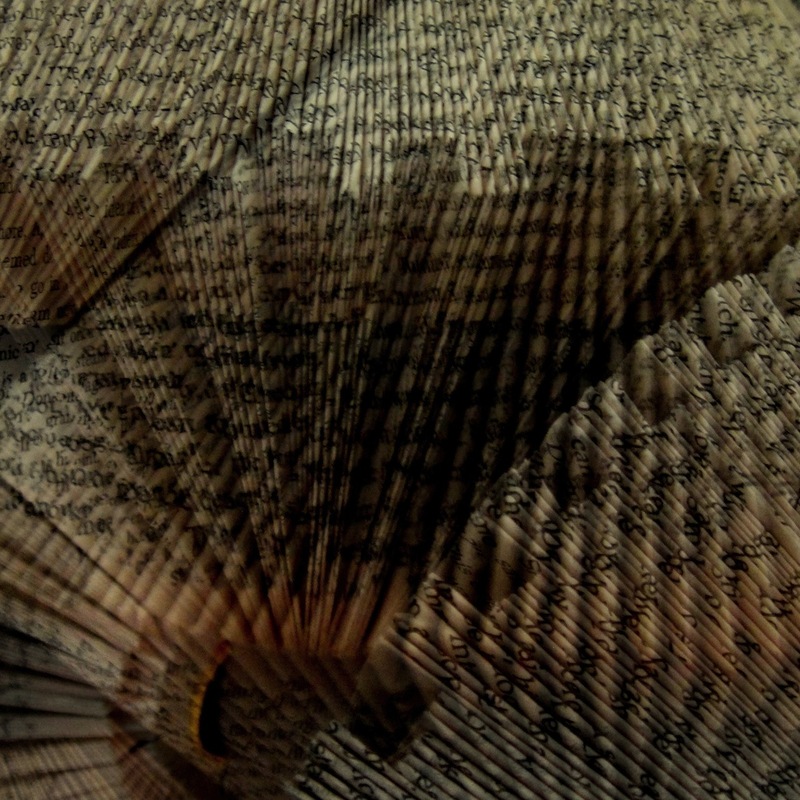 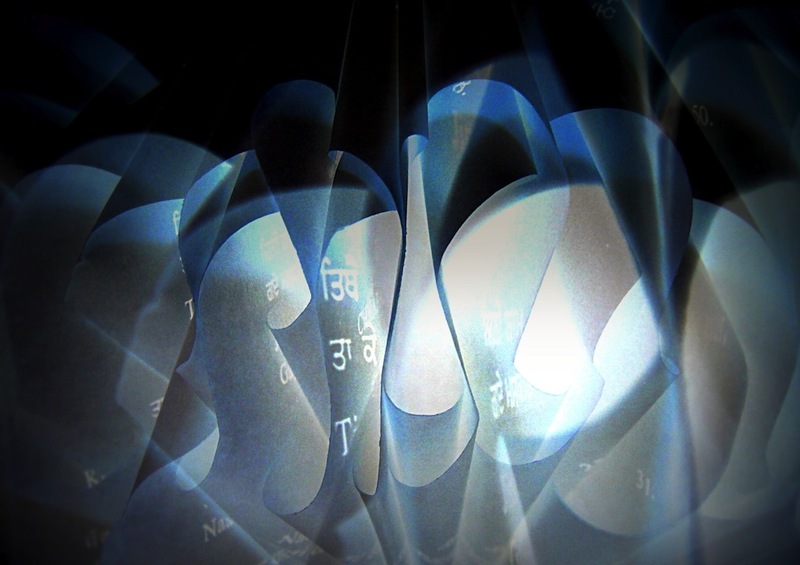 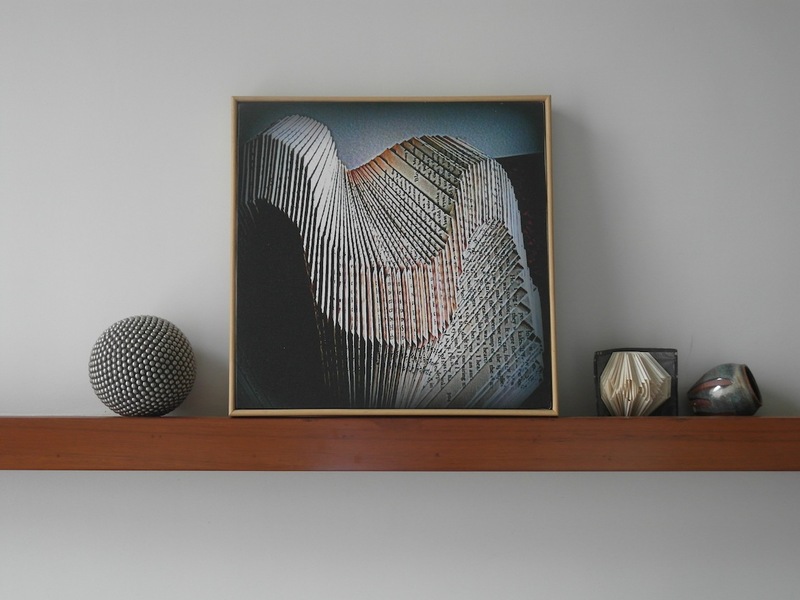 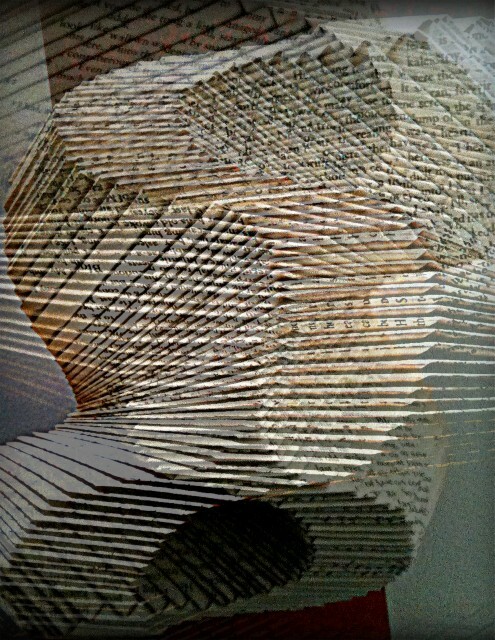 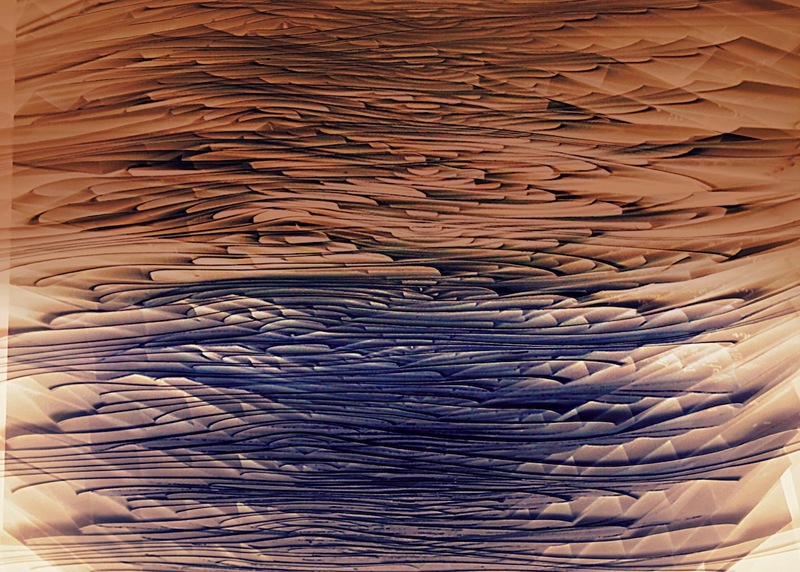 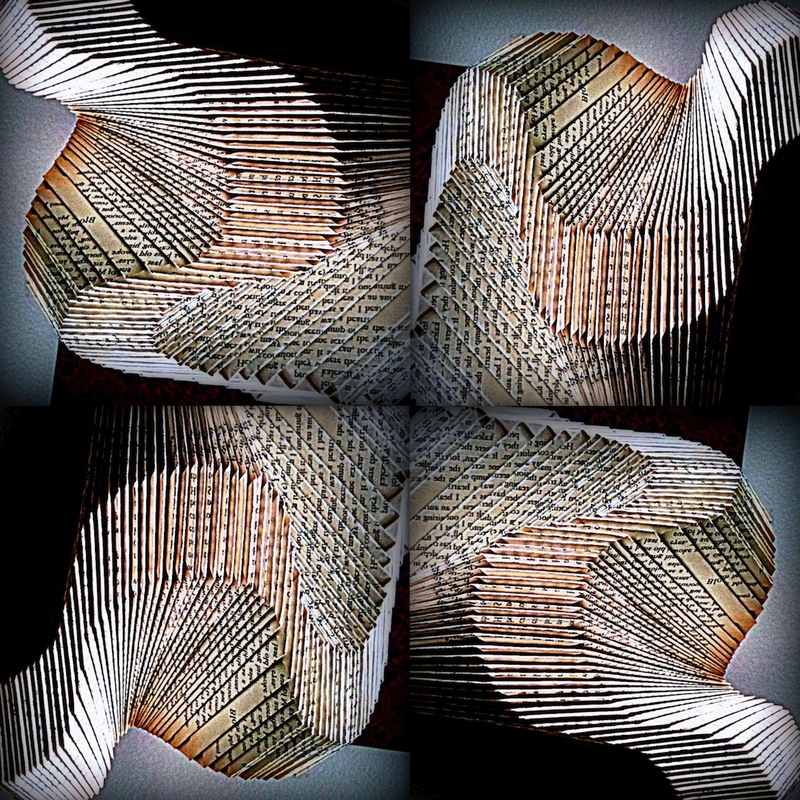 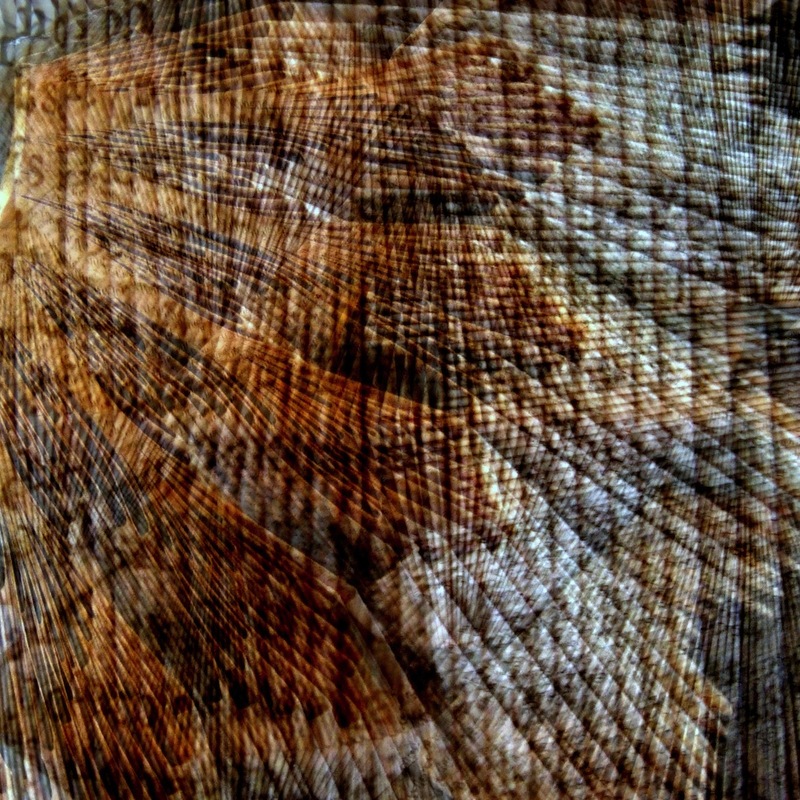 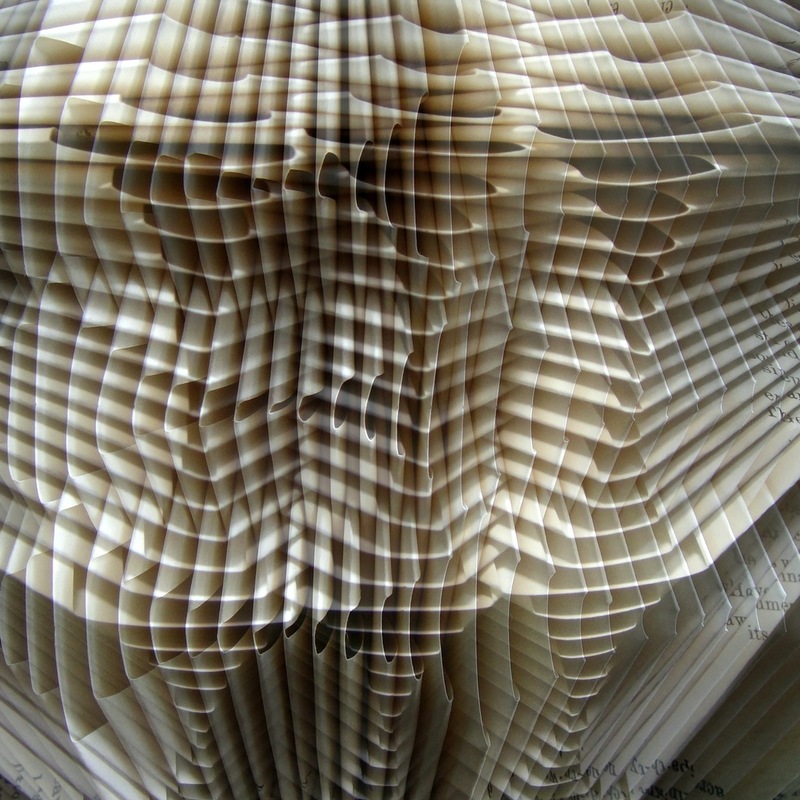 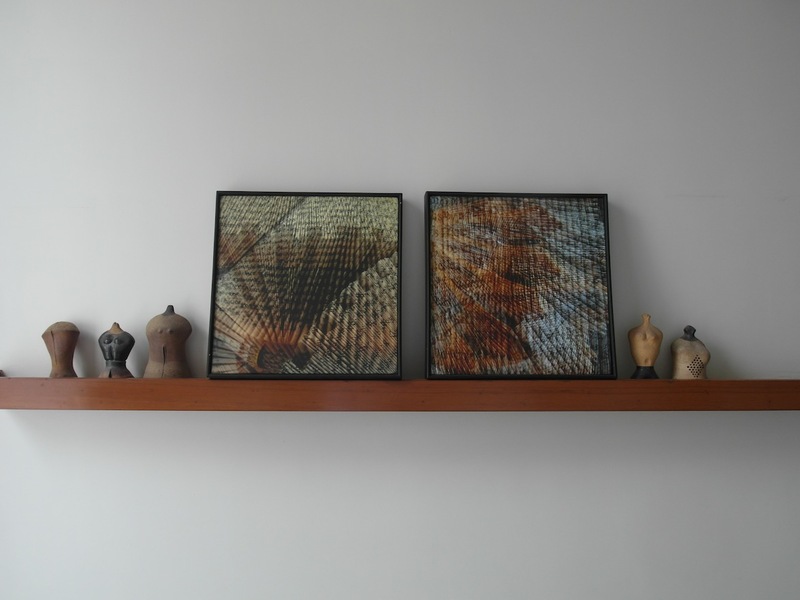 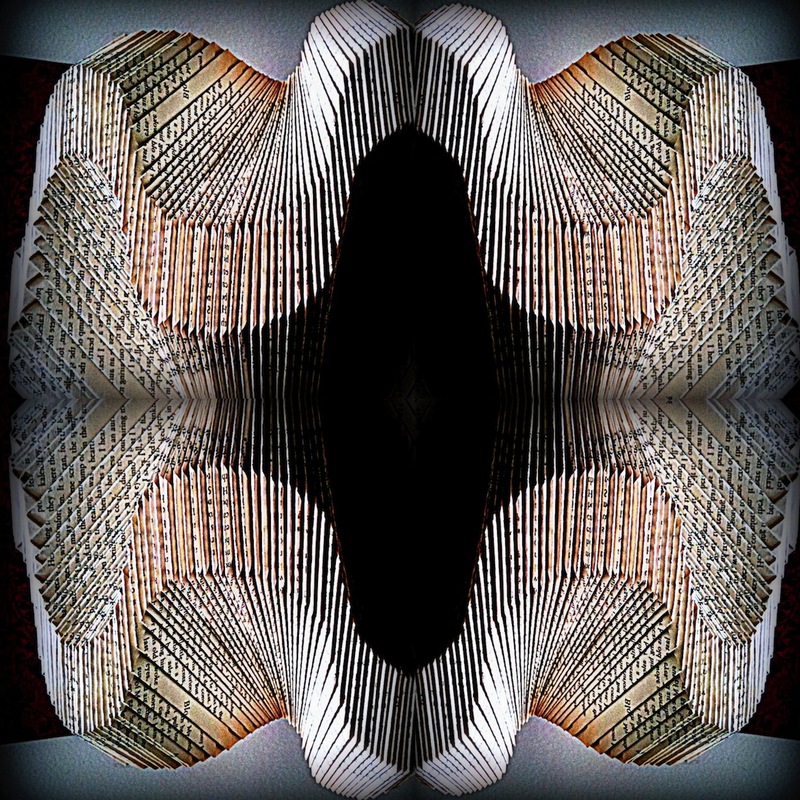 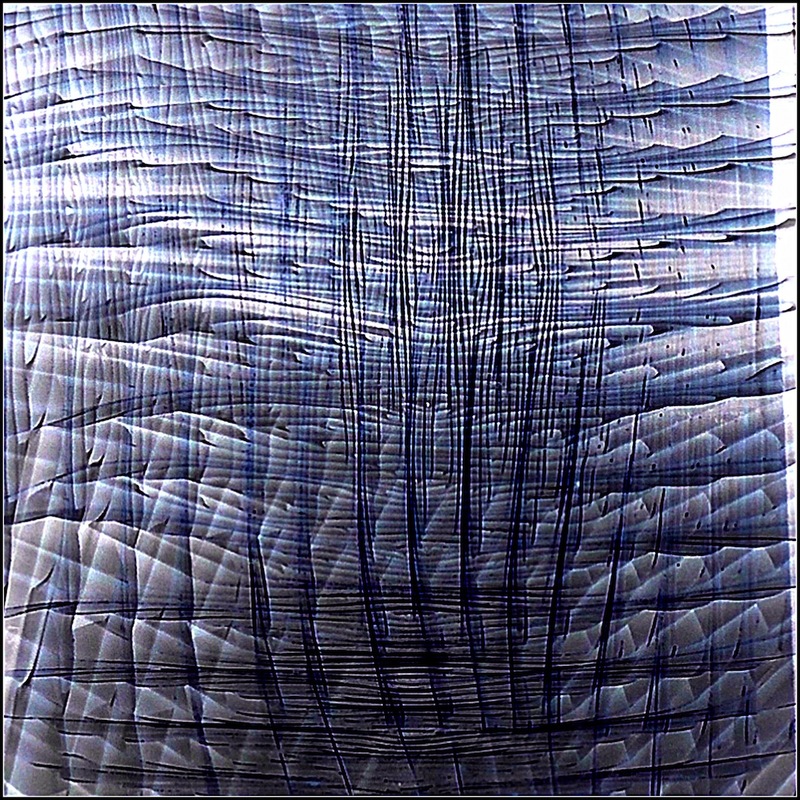 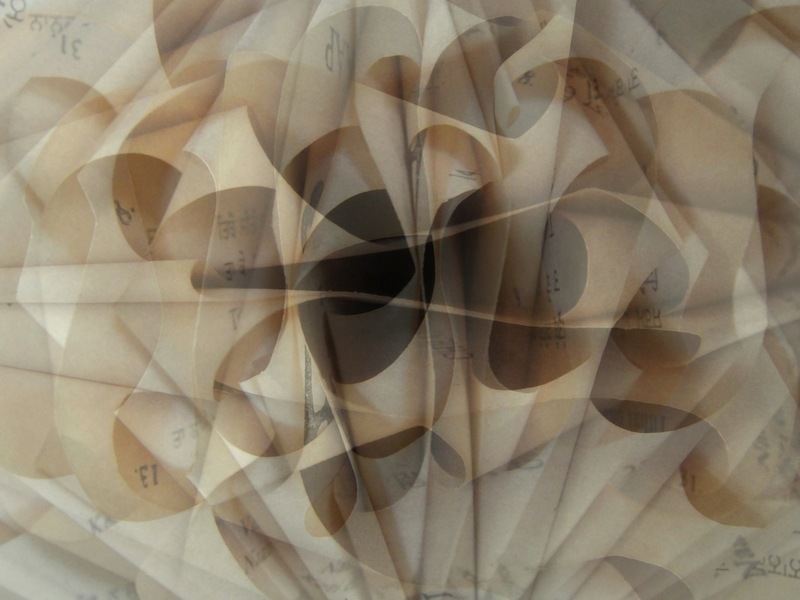 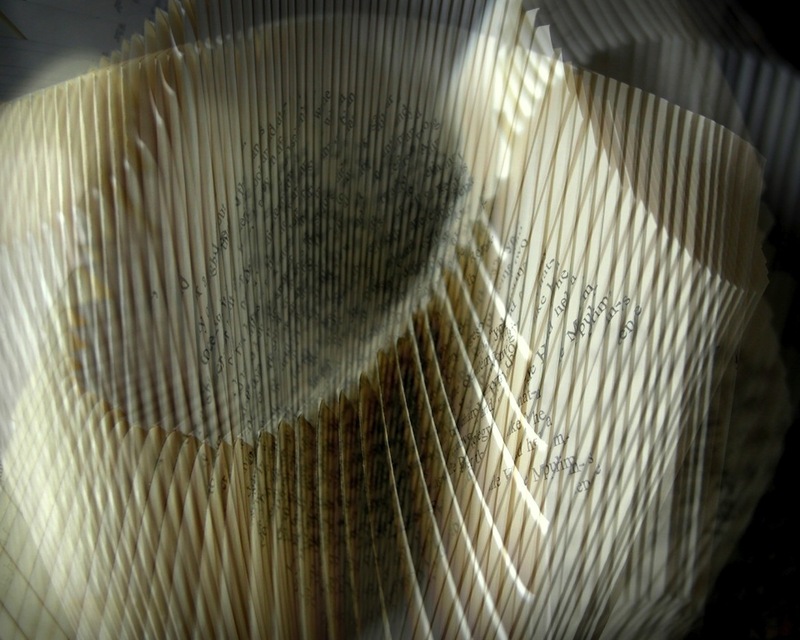 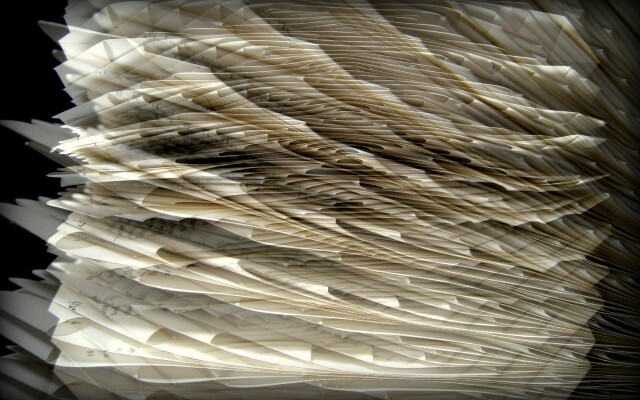 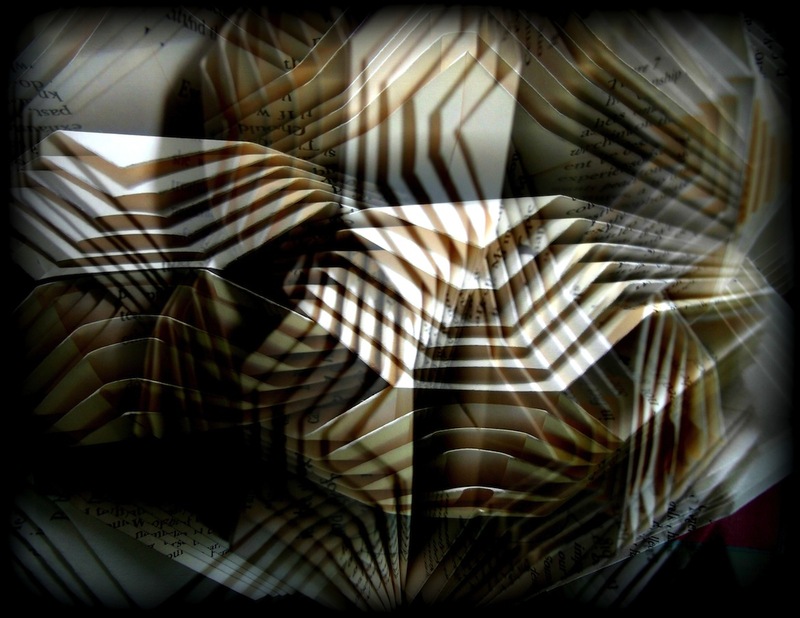 These Op Art like images were created from a single photograph of a book sculpture.